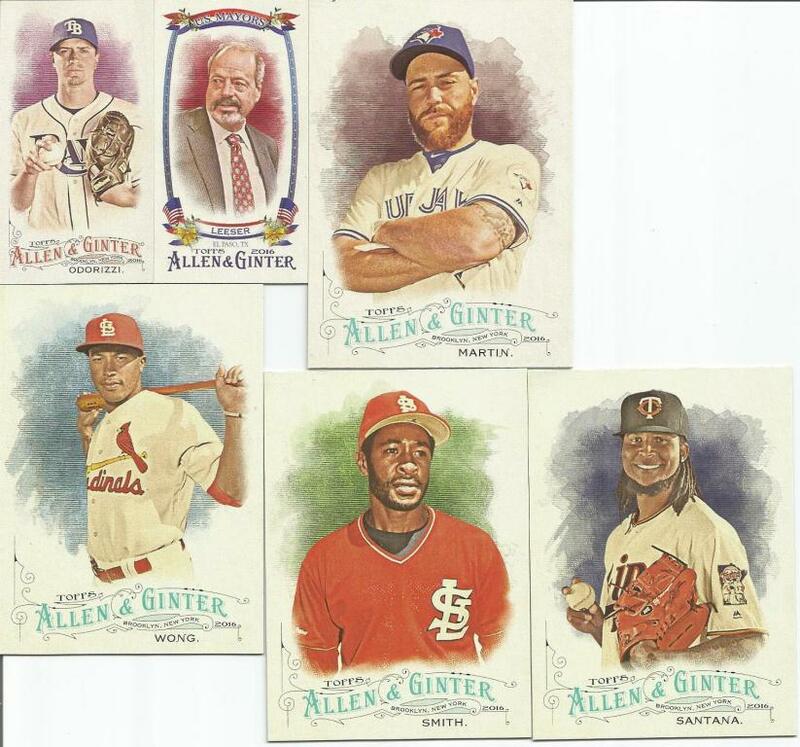 For my birthday, I received a blaster box (8 packs) of 2017 Topps Heritage. The video of the break was this week's "BUSTIN OUR WAX" and is available here. Below are the cards that I pulled which were Indians players, inserts, relics, etc. 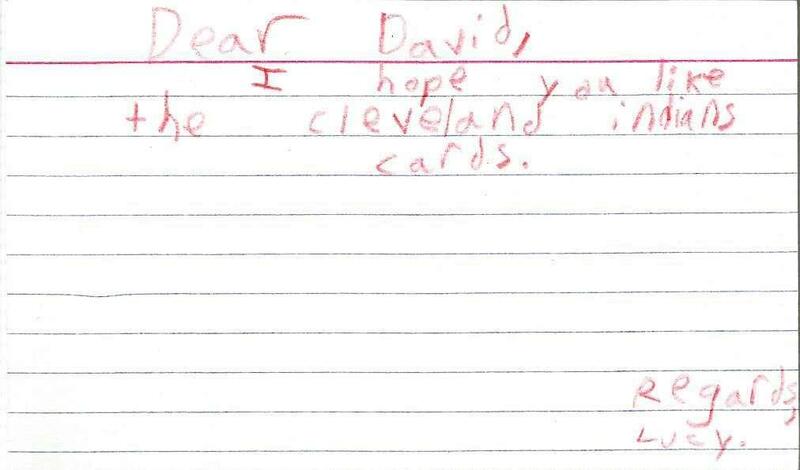 I love getting baseball cards for birthdays and Christmas. It's why I came back to posting about the hobby. Shortly after I had started my blog here (back then, it wasn't fancy enough to have its own domain name and was a blogspot address), I came across the amazing woman behind a site called "Dinged Corners." Patricia ran the site with her two daughters. 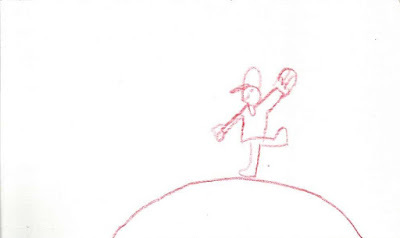 Actually, if memory serves, the site was originally called something like "baseball diamond girl." We made many trades, and the thing that sticks out most to me was Patricia's daughter, Lucy. Lucy loved catchers, especially when pictured in full gear. I purposely would set aside any catchers I pulled from packs, estate sales, etc, just so I could send them to Lucy. The posts on DingedCorners were insightful, often humorous tales of collecting, meeting their favorite players and general stuff happening in life. I don't know what happened to the girls at Dinged Corners, but they are sorely missed in the cardboard blogging community, no doubt about that. Back in 2008 or so, they had a contest of some kind (sorry, I do not recall what kind) and I ended up the winner. The prize was an autographed card of... Antonelli, maybe. Is that a player or manager? Sorry, again, my memory fails me here. 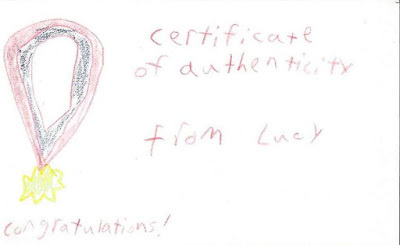 First up, a personalized, hand-written note from Lucy herself! I'm sure she doesn't even remember making this, but it touched me so much that she took the time to write out the card and to add a special rendering herself (which you will see in a bit if you keep reading). 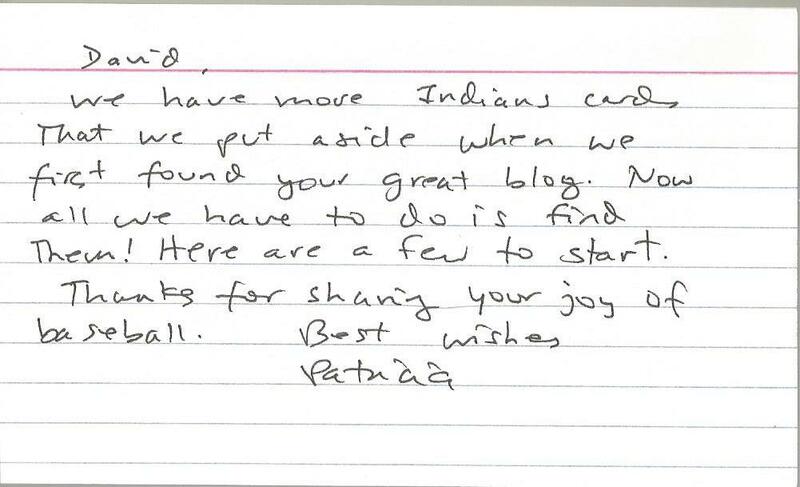 Patricia also took time to write out a card, letting me know that there were more Indians cards to come... Er, once they found them. haha! I know exactly how that goes! 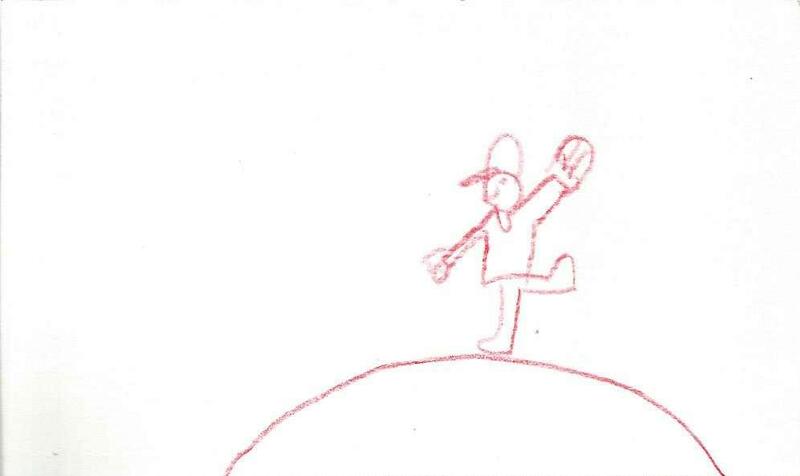 And, the topper of it all: A hand-drawn "sketch card" by Lucy of a pitcher on the mound in full windup! I know what you're thinking: Didn't we just see these!? Nope. Those were the 1991 version. You see, when I bought those, I also picked up a sealed set of the 1993 version! This set includes the "Welcome" card, the players, a mascot card and a card featuring Ronald McDonald. 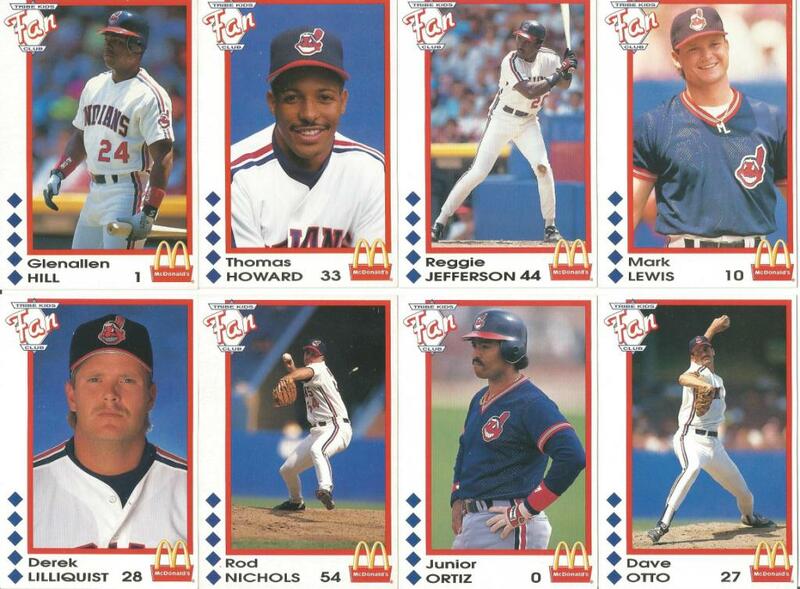 Unlike the over-sized 1991 set, though, this set is standard issue baseball card size. Whew! I mean, I like over-sized cards, I guess. But, these are baseball cards and I grew up with the 2x3 format, so that's what I like. These fit that bill. I assume there is a 1992 version as well. I need to find those and whatever other WUAB sets are out there. That is how my cardboard addiction works: I find the 'gateway' set that leads to more and more cardboard purchases. Next thing I know, I have spent way more money than I should have and I am surrounded by wax paper and... er, this is sounding good for me, is it? When I wrote my birthday post, I searched for player images to go with each player. I found an image for Tony Perezchica and instantly became intrigued. You see, the image was of a card that I am pretty sure I had not come across yet - or if I had, I sure long forgot about it. 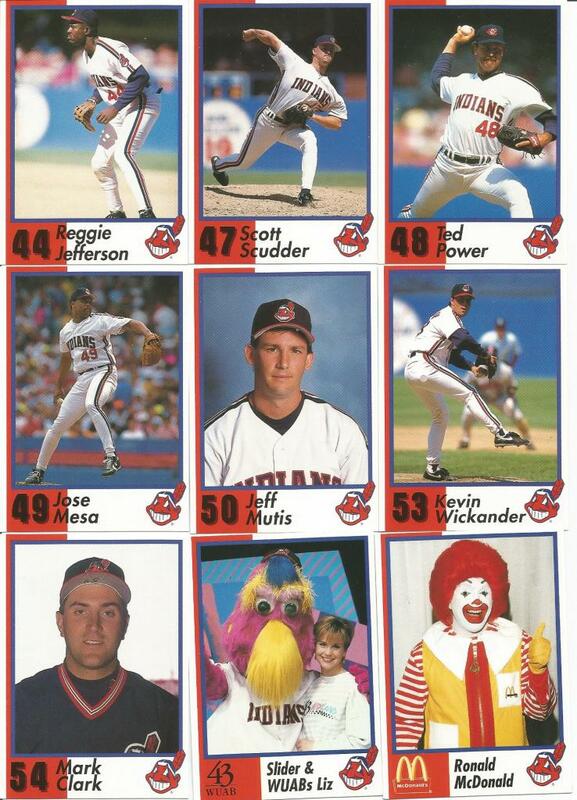 The image was that of the 1991 WUAB/McDonald's Tribe Kids Fan Club set. After a quick search on eBay, I found the complete set and scarfed it up. 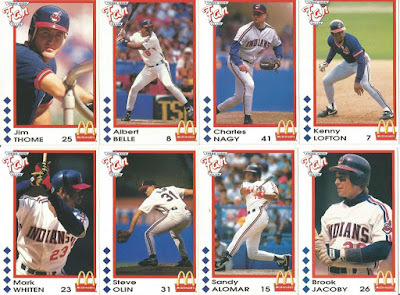 These are an odd size: 2-7/8" x 4-1/4" But, they are a VERY cool addition to my Tribecards collection! 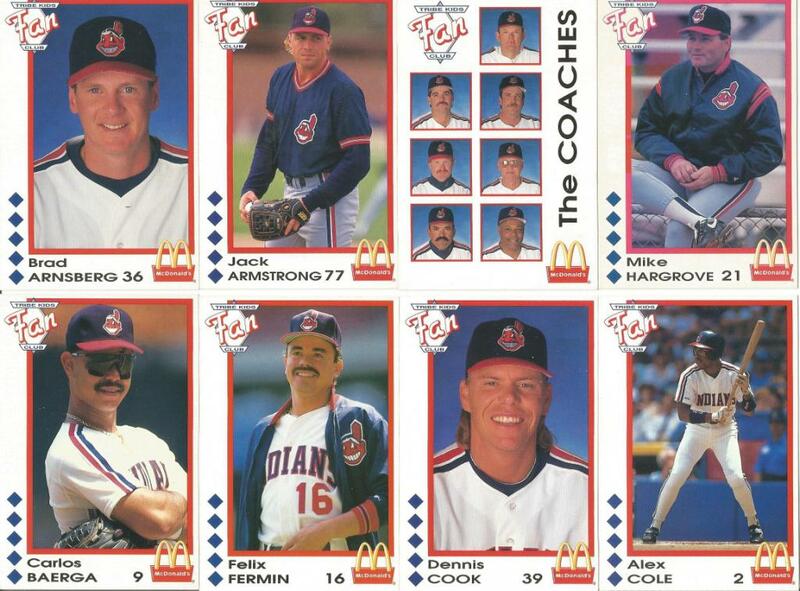 I also grabbed a 1993 set, which I will post about on another day. The cards feature the "Tribe Kids Fan Club" logo in the upper left. The player image, large and slightly off-center for effect, if surrounded by a red border. 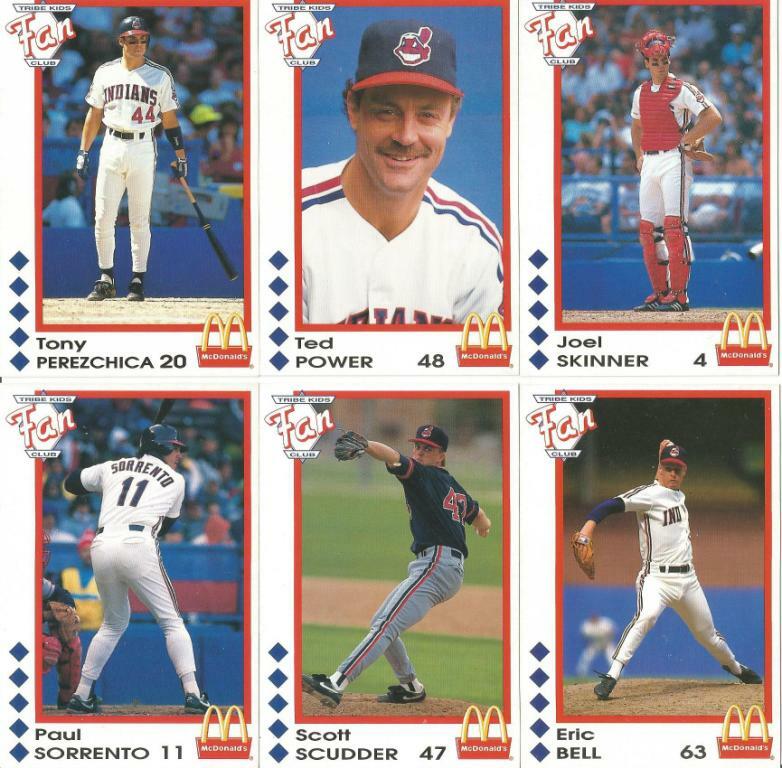 Five blue diamonds adorn the lower left side of the card while the player's name, number, and the McDonald's logo finish out the bottom. The backs feature logos and stats, appearing very much like a Topps card with all the info. Like I said, I don't believe I've seen these before. I am so glad I did the birthday post. I might not have known these were even a thing! Happy Birthday to *ME! 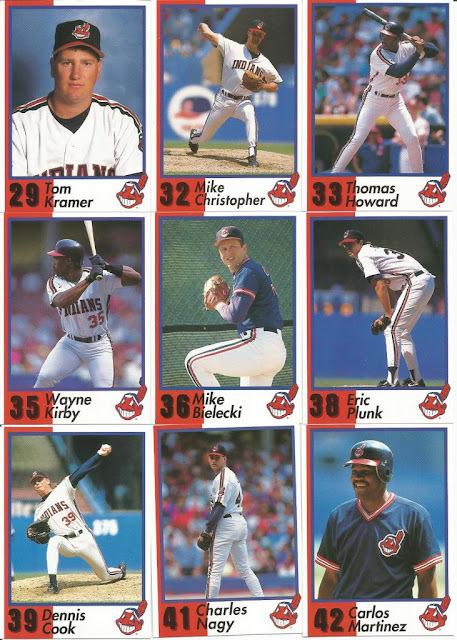 * Not only is it my birthday today, but it also happens to be the birthday of a handful of Indians (and former Indians) players as well. So, happy birthday to us all! *Note: All images are owned/copyright by their respective owners. Jess Todd, former Arkansas Razorback no less, played parts of two seasons with the Indians back in 2009-2010. 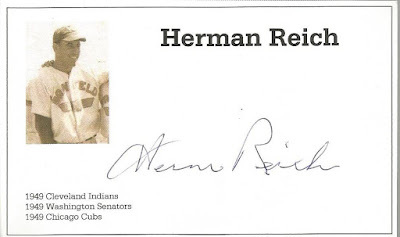 He pitched a total of 26 games and garnered a 7.45 ERA with 27 strikeouts, 10 walks and 22 earned runs. He bounced around the league and is (at the time of this post) a free agent, most recently having been with the Red Sox. 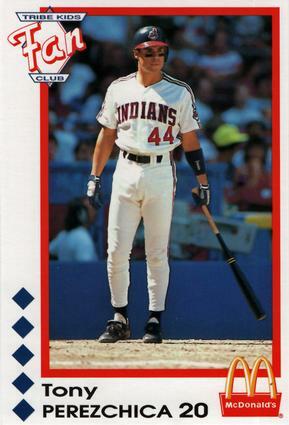 Hollandsworth played part of the 2006 season with the Tribe. In 56 games, he batted 156 times with 37 hits, 12 doubles, and a single triple. He knocked in 6 home runs and had 27 RBIs. 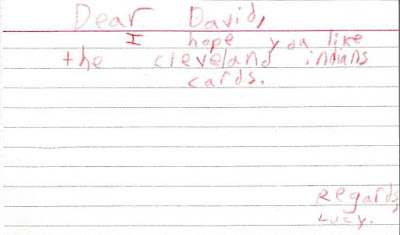 He left Cleveland that same year with a .237 average. He is currently broadcasting for the Marlins. Perezchica played for the Indians in 1991 and 1992. He served as an all-purpose infielder for the most part. 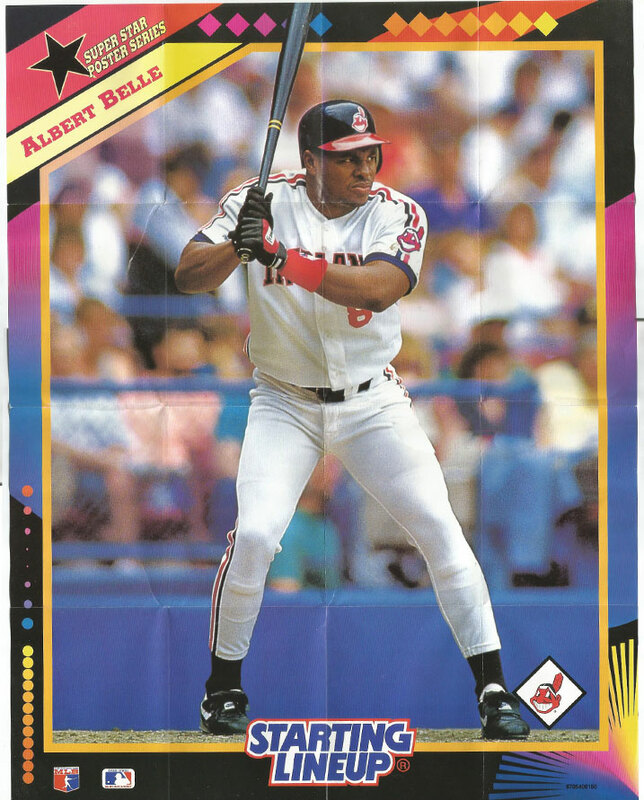 In total, he played in 35 games for the Indians. 1991 saw his highest batting average (.364) followed by his lowest (.100) the next year. He currently serves as third base coach for the Diamondbacks. 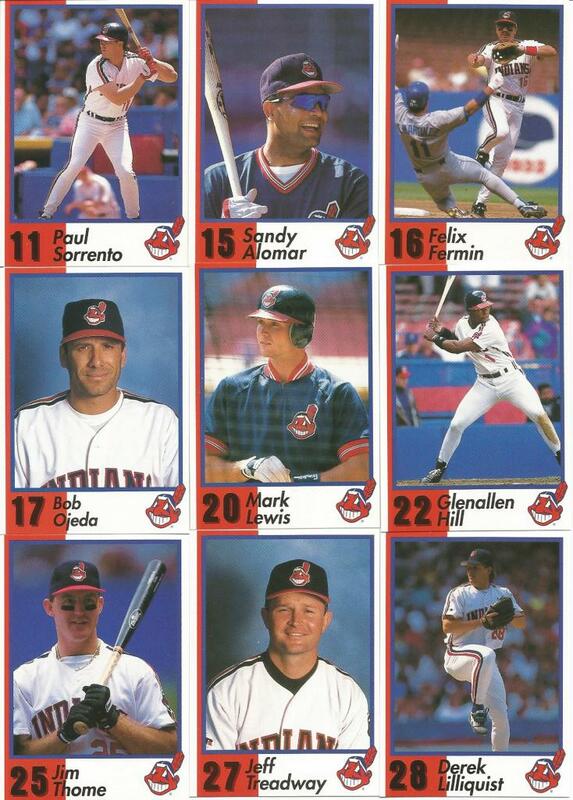 After a two-year stint in Cincinnati, Wilcox spent 3 years with the Indians. He pitched in 99 games, winning 17 and losing 26 with an ERA of 4.55. He had two shutouts, 205 strikeouts, and 164 walks. He is definitely most noted for his 9 years with the Tigers. Unfortunately, the only image I could find of him comes from Getty and their awful embed mechanism. He played for Cleveland in 1971, pitching in 17 games. He gave up 16 runs on 16 hits with 15 walks. He did, however, have 3 saves. Hal Peck played three seasons with the Indians (1947-49). He hit 8 home runs with 61 RBIs. Wait, that didn't come out right... Haha! He had 142 hits, 22 doubles, and 2 triples. He batted .293 over his time as a Triber. 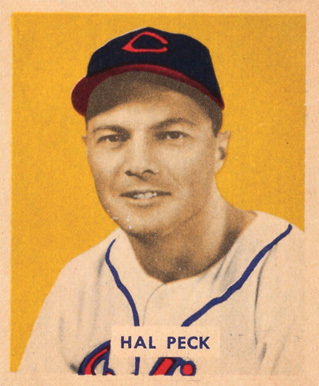 He helped the Indians win the 1948 World Series before retiring in 1949. Wilson played for the Indians in 1928. He only had one at-bat and was walked. Little else seems to be known about him. 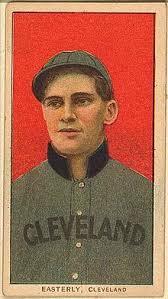 Easterly played for Cleveland from 1909-1912. He had 1123 at-bats with 117 runs on 334 hits, 53 doubles, 21 triples and 4 home runs. He brought home 140 RBIs. He had an overall .297 batting average with the Tribe, but in there, he batted over .300 in three seasons. Wow! 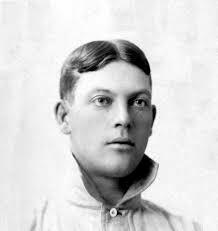 Smith played one season in Cleveland: 1902. In 20 innings pitched, he gave up 23 hits, 9 runs, and walked 5. He did get 5 strikeouts, though. He did manage a 7-0 shutout against the Orioles to finish out his rookie season. Hemphill played for the Spiders in 1899, then the Bronchos with Smith in 1902. Between the two, he scored 37 runs, had 81 hits with 5 doubles, 5 triples, and 2 homers. He also managed to steal 7 bases while he was at it. I bust open a pack (or packs) of cards and try to get as many Indians cards as I can out of the pack. Certain cards get positive scores and certain others will get a negative score. It's that easy. I stole the concept from WhiteSoxCards, who does a Sox or No Sox. I tally up the raw score and divide it by the number of cards used to get the raw score. That will give me the Calculated Score. I will use that score to rank packs from first to worst (the higher the score, the better). Hey, we pulled an Indians player and freaking good one at that! Wahoo!! We got dinged by Hank Aaron, but then so have a lot of folks that pitched against him, so I'm okay with that. 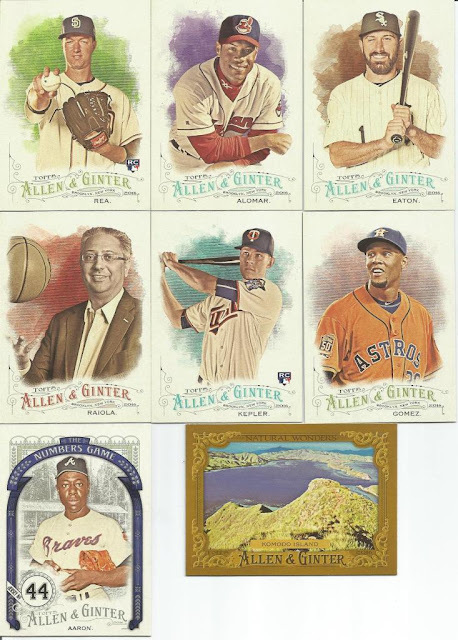 The downside to A&G are the non-baseball cards. Man, they add up. But, overall, not a bad pack. 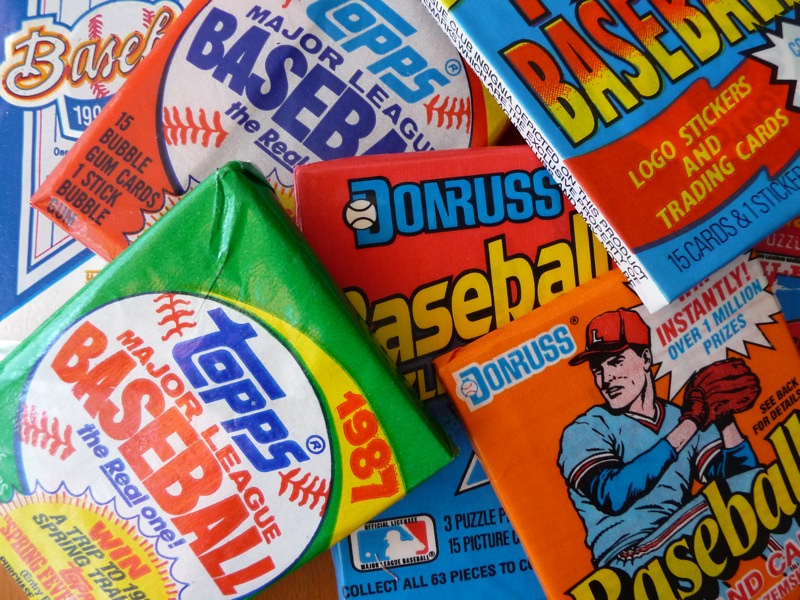 Sometimes, I get these weird thoughts in my head like, "How many packs would someone have to buy if they wanted to complete the 1981 set of Fleer Baseball?" And, so my fingers begin the ADD-inducing trek through the interwebs. The problem with the seemingly innocuous question is that most of the answers I found are not based in reality. For example, most sites provide a scenario in which there are a finite number of cards per set (which is true) and those cards are sold in packs of ONE card (for the most part, not true)1. Still, others try to use the "Coupon Collector's Problem" in order to try to provide an answer2. Now, I do not understand the complexities of such things, but if I read the study as best I could, the formula above still presents a real world problem: the packs have no duplicates in them. 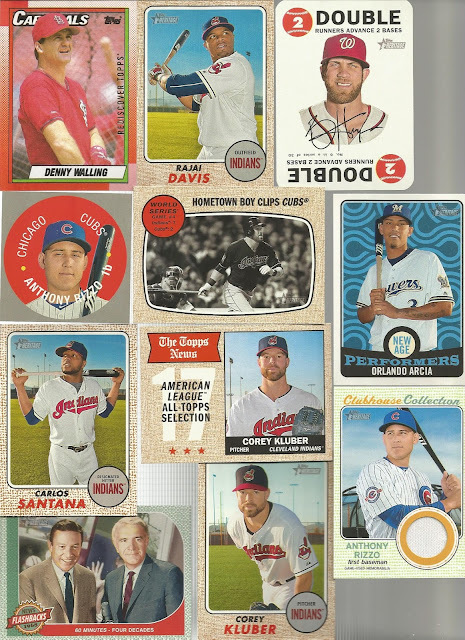 While that would generally hold true today (pack collating has matured since the early days), in days gone by, each pack could very well have duplicates. The study also compared buying individual packs versus buying boxes to see which would yield "better" results. That is, would it be more efficient to buy random packs versus buying several boxes. The problem, again, is that they had to set the rule that each BOX contained NO duplicates. Okay, in the real world, that's just not happening. As an aside, the study does a really job in explaining why certain stickers (or cards) appear to be rare when, in fact, it's all a result of probability and calculation. So, dear readers, is there a formula that DOES take into account that there may be duplicates? If not in a single pack, then surely in a box of X number of packs. I don't know. In a nutshell: I tried to find a program that would help me calculate the number of packs needed (estimated) to pull enough cards to complete certain sets. Why? I dunno, for fun. Well, this quickly dropped the fun part... Haha! Let me know what you think! Is this something that looks like it will be fun to do/watch? Suggestions for improving and/or what packs you would like to see? This is a pretty big poster by general cardboard standards. I mean, it is 11" x 14" when unfolded. I couldn't even scan the whole thing at once. I scanned it as two parts and then 'shopped them together. 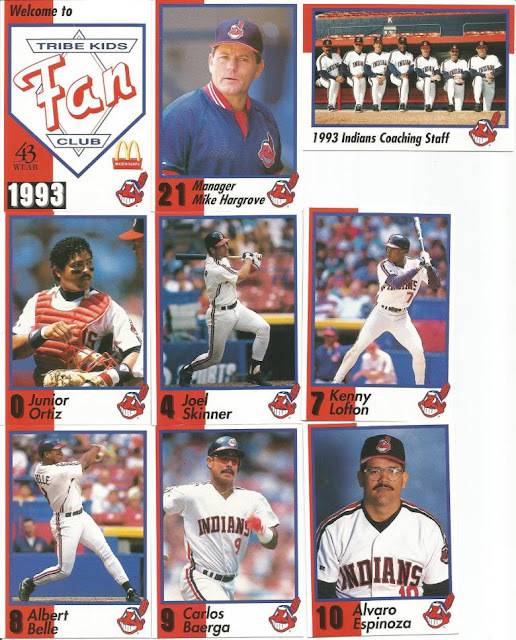 I received this cool 1992 Starting Lineup poster back in 2010 as part of a massive "Thank You" package that a bunch of my fellow card collectors had put together for me. Thinking back on getting that box in the mail still brings tears to my eyes. You guys and gals are so amazing! There are 35 figures with cards and posters in the 1992 set. I've posted a link to a checklist below the photo. I believe I received the card as well, though I don't quite remember. Whether I have the card or not, this is one of my favorite fold-out posters. First of all, it has Belle on it. But, more importantly to me, it came from fellow collectors during a very low time in my hobby life. Things were very tight in those days, and I had to quit doing giveaways (which tore me to shreds because that was kinda my 'thing' - I did lots of giveaways). The love and support you guys showed me was beyond anything I could have ever dreamed. Frankly, it's what brought me back again after I "retired" from blogging on here recently. 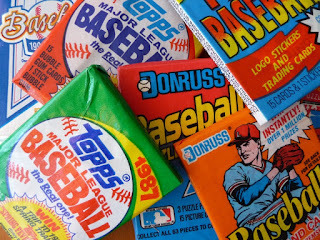 It's what separates #TheHobby from other collecting, I think. Maybe not. But, I'd like to keep thinking so. 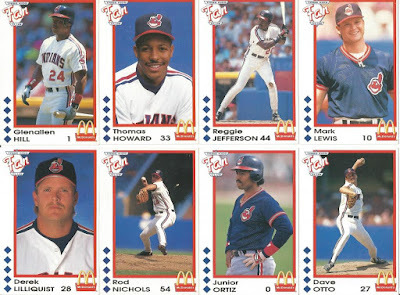 Although my collection of cardboard focuses on the Cleveland Indians, I also collect LOTS of other players - some who are amazingly well-known, some who are amazingly infamous, and some most people would scratch their heads and wonder who the player is and why on earth anyone would collect him. These two cards fall into the first category. 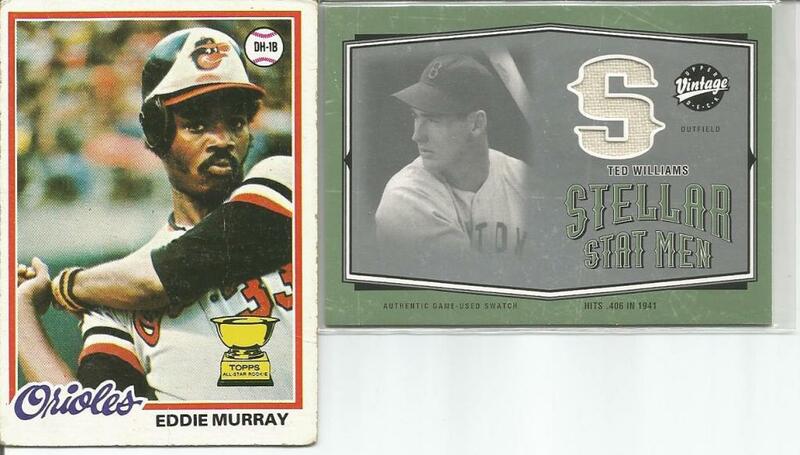 I collect Eddie Murray and Ted Williams. Okay, okay, I use the word "collect" VERY loosely here. That is, I have some of their cards. The Eddie Murray I've actually personally owned since pulling the card from a pack of 1978 Topps *IN* 1978. We were kids. I've shared how we mistreated so many of our cards back in those days. For whatever reason, the Eddie Murray never made into a flip pile, never got glued into a spiral notebook, and never found its way to the top of a pile of cards wrapped in a rubber band. No, the Eddie Murray simply traveled along with me through all my moves, college days, careers, and homes. That's why the poor fella is rough around the edges. And, I wouldn't have it any other way. The Ted Williams card comes from the 2004 Upper Deck Vintage collection. It is the Stellar Stat Men game-used pants variety. Yes, the swatch on the card (in the card?) was cut from a pair of pants Ted Williams wore during a game. That is both freaking cool and freaking...well, freaky, all at the same time. If I remember correctly, this card was pulled from a pack I got when the K-Mart in El Dorado, Arkansas, was shutting down and selling off everything. They were selling boxes of cards for 75% off - yes, even the current-day offerings. I bought more unopened cardboard that day than I think I ever have - certainly more than I ever had up to that point, anyway. I actually ended up with a slew of game-used cards. Most of them were (stupidly) sold off in an eBay auction a few years later when I needed money and thought I could get some serious top-dollar bids for what I was offering. Unfortunately, I got about 10% of what I thought they were worth and I had not set a reserve or a minimum. For whatever reason, the Ted Williams pants card never made into the auction listing. Thinking back on it now, I am so glad I kept this. Sure, having a piece of someone's pants in your possession is weird. But, it is also one of the coolest things ever.